One way of making sure it gets shared on social media is to make it stand out with visual content and colours. 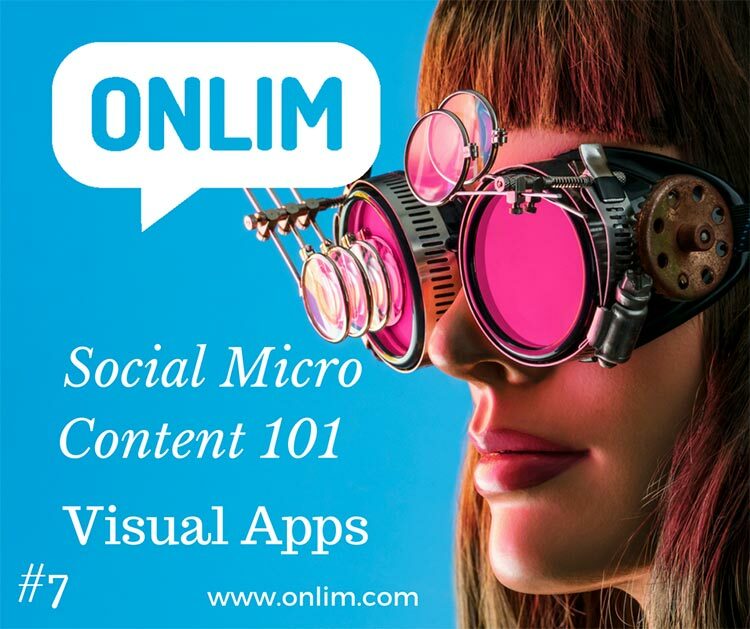 There is a number of visual apps and means of making plain ordinary content stand out on social media with a number of photography tricks and effects. In the past these special effects would have been known to seasoned photographers but are now available to everyone in digital format. Boomerang from Instagram, helps to make engaging mini videos that loop back and forth. Which is great for ever shortening attention spans. You can then share your images with your social media followers. The App itself takes a burst of photos and stitches them together into a high-quality mini video that plays forward and backward. It allows you to shoot in portrait or landscape mode. Short and sweet gif like videos are produced. It works best on things that are moving within the camera view. It doesn’t come with sound. Create eye-catching animated posts to stand out on social media. Ripl takes your images and makes them into an eye catching cinematic slideshow that you can share online. It’s especially built with the small business owner in mind. It helps to make your social media posts stand out and empowers the small business owner. Research has shown in an attention deficient online world, that compelling animated video posts, get the best engagement rate and responses, which in turn leads to more customer loyalty and new followers. It’s currently available for the iPhone user in the iTunes store. Snapseed is a complete and professional photo editor developed by Google. It’s been around since 2011. There’s your typical level adjustments for exposure, contrast, highlights and there’s also a bunch of filters for quick adjustments. Snapseed’s ease of use and feature set make it one of the best photo editing apps for mobile. The app is designed for touch and makes adjustments easily. If you want more control over editing your photos on the go, Snapseed should be on your short list of apps to be included in your social media arsenal. Snapseed gives you more control and a larger number of effects. An example is the Lens Blur filter that lets you steer a viewer’s focus to a particular part of the photo. InstaBokeh helps you add awesome bokeh light effects to your photo with just few taps. The Bokeh effect: In photography terms bokeh is the aesthetic quality of the blur produced in the out-of-focus parts of an image produced by a lens. Bokeh is also defined as “the way the lens renders out-of-focus points of light”. InstaBokeh creates digital designs to blur the image in a way that is pleasing to the eye. The Bokeh effect occurs for parts of the scene that lie outside the depth of field. The app offers a wide range of bokeh effects. You just need to pick a picture or take a photo, you will get a bokehful and beautiful luminous photo ready for social media sharing.